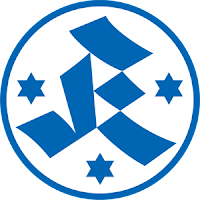 SV Stuttgarter Kickers is a football club from the district of Degerloch in the German city of Stuttgart in the Baden-Württemberg region, who were formed on the 21st September 1899 as Stuttgarter Cickers. The club joined the Süddeutscher Fußball-Vereine in 1900 playing their games at Stöckachplatz quickly establishing itself as one of the best teams in Württemberg. In 1903 the local football was run by the Süddeutsche Fußballverband who placed Cickers in Gau Schwaben. In 1907-08 the team won the Süddeutschen Meisterschaft (southern title) to compete in the national championship. Cickers progressed to the final where they were defeated 3-1 in Berlin by Vizemeister BFC Viktoria 1889. The club lifted a second southern championship in 1913, which was repeated four years later. In 1920 the club changed to its name to its present title. Over the next several years Stuttgarter Kickers dominated football in Württemberg. In 1933 the ruling Third Reich decreed that top tier football would be divided into 16 regional Gauligen. In 1936 Kickers were crowned Württemberg Gauliga champions. They went on to reach the final rounds of the national championship. Between 1939 and 1942 Kickers lifted four consecutive titles. They didn’t lift a national title, but in one memorable game of the day they played in front of a crowd of 70,000 against Admira Wien at the Stuttgarter Adolf-Hitler-Kampfbahn. Following the end of World War Two Kickers became members of Oberliga Süd, attaining a third place finish in the inaugural season. In 1948 FC Bayern München were hammered 5-1 in the third place play off. However, in 1950 local rivals VfB Stuttgart lifted the DFB Pokal (German Cup) for the first time. It changed the balance of power in the city between the two clubs. Kickers found themselves relegated to the second tier, but won an immediate promotion. In 1962 the club came very close to facing relegation to the amateur sections. A winning goal in the final minute in the away game against Viktoria Aschaffenburg from Pál Csernai rescued the second division Kickers. The Bundesliga was introduced to German football in 1963. Kickers were placed in the second tier Regionalliga Süd against the likes of FC Bayern München, Kickers Offenbach and SpVgg Fürth. In the late 60’s Kickers threatened to win promotion on a couple of occasions. 2. Bundesliga was introduced in 1974, with Regionalliga Süd forming part of it. Kickers were one of the included clubs thanks to their good previous record. Kickers were steady members in the second tier for several years. They appeared in the UEFA Intertoto Cup in 1980-81 with Guido Buchwald in their line up. As the 2.Bundesliga slimlined to a single division Kickers were forced to decamp from their Waldau Stadion to the the Neckarstadion home of rivals VfB, leading to a drop in attendances. Fans were cheered by the debut of a young Jürgen Klinsmann who spent three years at the club. They were even happier by their return home for the 1982-83 campaign. The following season was threatened by relegation until the appointment of new coach Horst Buhtz in the winter break, as he led the side up the table. The DFB Pokal (German Cup) of the 1986-87 season created a club highlight. Victories over Tennis Borussia Berlin, Borussia Neunkirchen, Hannover 96, Eintracht Frankfurt and Fortuna Düsseldorf saw Kickers reach the final at the Olympic Stadion in Berlin. Dieter Renner’s side went up against Hamburger SV in front of 76,000 fans. Dirk Kurt Bach put the underdogs ahead, but they eventually lost 3-1. Manfred Krafft came in as the new head coach for 1987-88 and led the club to even glory as they were promoted to the top flight Bundesliga as champions over second place FC St Pauli. Once more Kickers had to decamp to the Neckarstadion but unfortunately their first campaign at the top table ended in relegation. Within two years the side now led by Rainer Zobel were promoted once again following a play off win against FC St. Pauli at Gelsenkirchen’s Parkstadion. The Bundesliga was extended to twenty teams for 1991-92 to allow the inclusion of East German sides following unification of the two states. Kickers’s stay in the top flight once again lasted just one season. The club went down once again to start the 1994-95 season in Regionalliga Süd. Within two seasons Kickers were back in 2. Bundesliga. The 1999-00 campaign saw another majestic DFB-Pokal run all the way to the semi finals after wins over Borussia Dortmund, Arminia Bielefeld and SC Freiburg. Werder Bremen ended the dreams in the last four clash. Unfortunately the run hid some poor league form. Kickers went back down to Regionalliga Süd in 2001. It could have got a lot worse in the first season at the lower level. The side finished in a relegation spot but were reprieved from relegation to Oberliga Baden-Württemberg as SV Waldhof Mannheim had their license withdrawn because of financial problems. Kickers president Axel Dünnwald-Metzler resigned after twenty four years at the helm owing to health reasons in the summer of 2003. The club had their own financial problems of their own. The club’s grounds were sold to the local council along with the naming rights for ten years. Robin Duff came in to lead the team to the Württemberg Cup victories of 2005 and 2006, and with it qualification for the DFB-Pokal. In 2008-09 Kickers became members of the newly formed 3. Liga. At the end of the campaign the club took voluntary relegation to the fourth tier Regionalliga Süd to avoid paying a fine to the DFB. The club looked to rebuild on and off the pitch and set a target of promotion in three years. This was achieved with promotion back to 3. Liga at the end of the 2011-12 season as Kickers finished as champions and attendances increased by nearly a 1,000 average to cheer on a mainly home grown side. In their first season back in the third tier, Kickers finished close to the relegation places, but things were to improve. A steady 2013-14 season followed, which was backed up in the 2014-15 campaign; even though the team had to play the opening half of the season at the Kreuzeiche in Reutlingen as the renamed Gazi Stadion at Waldau had a new main stand built. The team ended the season in fourth place under head coach Horst Steffen. It was half time in the game in the Oberliga clash between Kickers second string Under 23 team and FC 08 Villingen just over the road at Bezirkssportanlage. It had been a very wet morning, but the weather was gradually improving. During the interval I thought it a good idea to have a look at the Gazi-Stadion auf der Waldau as the old Waldau had been renamed for sponsorship reasons. Walking up a pleasant lane and past the home of SV Eintracht Stuttgart 1896 e,V, I looked for a way in to the impressive looking arena with its imposing sloping floodlight pylons. I couldn’t find a gate to actually get inside, but I got several good views through gaps. The stadium was overlooked by the huge Fernsehturm Stuttgart (TV tower). Both ends had very modern open terracing blocks. One side had a cover over the decent sized full length terrace. The new raised seating deck of the Main Stand was most impressive along with its corporate facilities. It was typical of a lower division venue in the UK. I returned back over the road to see a very entertaining and competitive second half before heading to my second match of the day at the Mercedes-Benz Arena.